Don’t go rushing in to Steep thinking that it’s another SSX clone. This is as different as you can get from EA’s high octane rush down a mountain. Even so, Steep can provide a fair few of its own adrenaline fuelled moments, it’s just set up very differently. The biggest difference hits you pretty much immediately; this is an open world game where the world is comprised of huge mountains and beautiful vistas covered in shiny white powder. Frozen lakes, mountain villages and plenty of trees dot the landscape, but it’s the mountains themselves which provide the character of Ubisoft’s latest world. Base camps are dotted around the mountain peaks and along the ridges, with more opening as you explore. From here you can open races for one of your four modes of snow-based transport; skis, snowboard, squirrel suit or parachute. You’ll also have access to hot air balloons for even higher altitude stunts. Drill down further and you have straight runs to the finish line, stunt-based races, special events and more. There is a sort of story running through Steep, but it’s not all that important or prevalent. You get to find sponsors and TV crews who get you to film various pieces for them, all in aid of gaining further clothes or equipment and opening up more events. It works in order to progress through the game but it’s not something I found myself focusing on. It’s also worth mentioning that there’s a first person mode here. You really have to try it, if only to then go and cuddle a pillow for an hour while you calm down. It’s a bit frantic, to say the least. My one problem with the control system is that it’s set to the left bumper on the controller and got pressed by accident, often as I was in the middle of a jump. You really don’t want that to happen, trust me. Steep manages to fit a lot into its world with four different sports all crammed into one, a replay mode with all the usual editing options, mountains that talk (yes, really) and loads to discover. 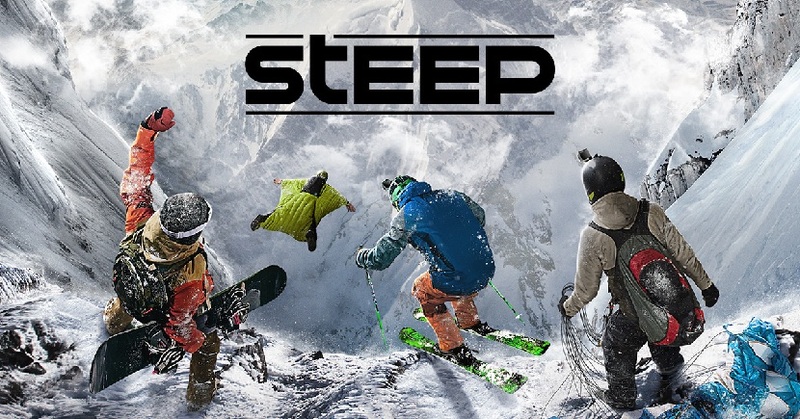 It’s not as immediate as other snow sports games so some may find it initially off-putting, but for those who like to roam around choosing what sport to do next, or fancy the idea of treking through a mountain range to find another beauty spot to shred then Ubisoft’s game provides something new and different.